An employer, regardless of the number of workers they employ, must maintain all records pertaining to payroll taxes. Payroll for a small firm is a simple task with a good one-write system. Any office supply store can show you samples of one-write systems, which most accountants recommend because they reduce errors and save time in making payroll entries. 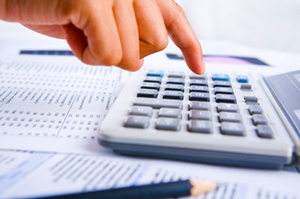 Payroll management can be quite a challenge for the new business owner. There are many federal and state laws regulating what you have to track related to payroll. Failure to do so could result in heavy fines--or worse. Many business owners use outside payroll services. These companies guarantee compliance with all the applicable laws. This keeps the business owner out of trouble with the law and saves time that can be devoted to something else in the business. If you choose to do your own payroll, it's recommended that you purchase an automated payroll system. Even if the rest of your books are done manually, an automated payroll system will save you time and help considerably with compliance.